The Direct Selling business in India is fast becoming the need of the common man. It has percolated the growth opportunities down up to weakest section of the society and it has significantly contributed to our economy also. Unfortunately, this fast growing stream of business had no regulatory authority till recent past to govern the Direct Selling Business in India. Exploiting this lacuna, many unethical fly-by- night people invaded the business and duped innocent Indian public. This situation prompted to initiate a mission to save this noble profession in larger interest of public and our nation. A few likeminded people founded FDSA, which is the sole representative of Indian Direct Selling companies now, and took the reformation of the industry as personal responsibility. A few genuine direct selling companies rendered their resources for the struggle of industry. FDSA is thankful to them. FDSA is working with the government on policy matter, with the investigation agencies on nabbing the unethical players and with law enforcement authorities for protection of genuine direct selling entities. During 2013, in the absence of any guidelines from the government, FDSA had formed self-governing 'Code of Conduct for FDSA membership companies' to recognize genuine Direct Selling Business models and award memberships to them. It is a proud moment for us, that the FDSA Code of Conduct is totally in-line with the Direct Selling Guidelines-2016 released on 9th September 2016 notified in the Gazette on 26th October 2016. The Founder Membership was awarded to the 4 companies who were engaged in the struggle for the industry since inception of FDSA and rendered their resources for the FDSA Mission of Disciplined Direct Selling in India. These companies are Fellow Members whose Founder Membership status has been mandated to remain in force for life-time. RCM Business, a Unit of M/s. Fashion Suitings Private Limited, Bhilwara (Rajasthan). ARL Retail Private Limited, Delhi. SARSO BIZNET International Pvt. Ltd.
SARSO Biznet International Private Limited, Amritsar. TranzIndia Corporate Network Pvt. Ltd.
Tranzindia Corporate Network Private Limited, Coimbatore (Tamilnadu). Fellow Membership is available to those companied who abide by the FDSA Code of Conduct and are in compliance with the Model Direct Selling Guidelines-2016. The companies are kept under strict vigil by the Federation and annual renewal of membership is done on the basis of satisfactory business conduct and ethical practices. My Recharge Private Limited, Jaipur. Unibiz Multi Trade Pvt. Ltd,. Unibiz Multi Trade Private Limited, Daman. International Marketing Corporation Private Limited, Ludhiana (Punjab). For more details may visit www.imcbusiness.com. Oriens Global Marketing Pvt Ltd.
Oriens Global Marketing Pvt Ltd., Chennai (Tamilnadu). Add Shop Promotions Pvt. Ltd.
Add Shop Promotions Pvt Ltd., Rajkot, Gujarat. Mi Lifestyle Marketing Global Pvt. Ltd.
ProYoung International Marketing Pvt. Ltd.
Ok Life Care Pvt. Ltd.
Green Planet Bio Products Pvt. Ltd.
Sahaj Life Care Products Pvt. Ltd.
Welocity Life Sciences Pvt. Ltd.
Arya Smart Marketing Pvt. Ltd.
Fortune Smart Lifestyle Pvt. Ltd.
Fortune Smart Lifestyle Pvt. Ltd., 105 - 108, Prime Plaza, JV Patel Compound, B.M. Road, Elphinstone (W), Mumbai 400013. 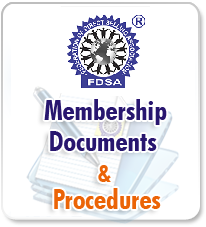 The Provisional Membership is available either for the start-up or less than one year old companies, who wants to avail the guidance of FDSA in carving out a Direct Selling Guidelines compliant system for carrying out Direct Selling Business and working for compliance of the Guidelines/FDSA Code of Conduct. Such companies have to express their commitment of time bound reformation through an affidavit on a prescribed format, subject to maximum 12 months only. This window is available for once only. Failing to meet the time commitment for the compliance, the membership stands cancelled and a fresh membership application need to be submitted by the company. Save Fuel Tech Pvt. Ltd.
Retail 1947 Enterprises Pvt. Ltd.